Celebrity Cruises is no stranger to the Galapagos Islands. For over a decade, it has sent the petite Celebrity Xpedition on weeklong sailings through this naturally-diverse part of the world. 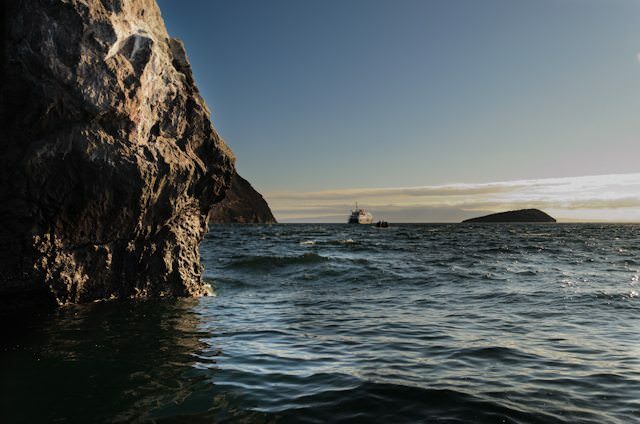 Recently, Celebrity acquired two additional vessels – Celebrity Xperience and Celebrity Xploration – to increase its Galapagos offerings. Celebrity Flora is Celebrity’s first purpose-built ship in the Galapagos. Rendering courtesy of Celebrity Cruises. Now, Celebrity has announced its boldest move yet in the region: the construction of an entirely-new vessel: the 100-guest Celebrity Flora. Set to debut in 2019, Celebrity Flora has been designed specifically with the Galapagos in mind. To that end, the ship will feature state-of-the-art technology that will go seen and unseen by guests to fully immerse them in the wonderland made famous by Charles Darwin. 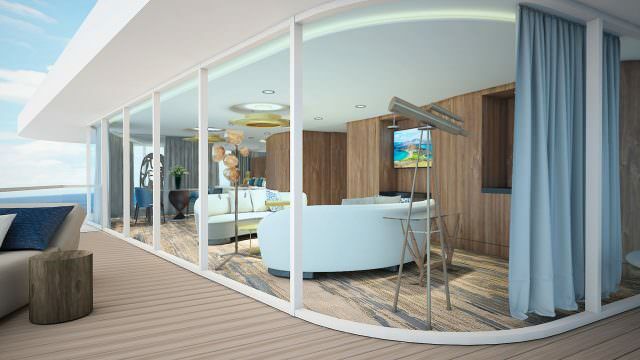 Floor-to-ceiling windows will adorn every public room onboard the ship. This outward-facing design allows guests to be present in the destination regardless of whether they are inside the ship, or on-land exploring. Celebrity Flora will feature a diverse array of public spaces – all of which will boast floor-to-ceiling windows. Rendering courtesy of Celebrity Cruises. The ship will feature a glass-enclosed observation lounge high atop the ship, offering 360-degree panoramic views of Celebrity Flora’s surroundings. 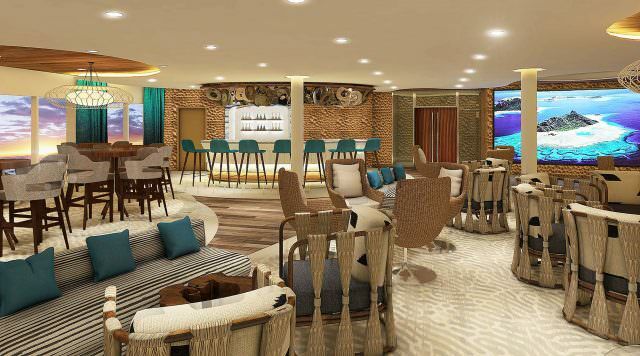 Numerous lounges and presentation centers onboard will allow Celebrity to offer lectures and relevant educational programs to guests as their voyage progresses, along with more leisurely affairs like cocktail hours. Celebrity Flora will also be at the forefront of the game, technologically-speaking, with a dynamic positioning system that allows the ship to maintain her current location without the need for anchors that could potentially damage the ecologically-sensitive surroundings. The ship will also have its own water filtration stations in every stateroom that eliminate the need for the ship to carry bottled water; eco-friendly engines that are better on fuel consumption and emissions; and even a stargazing platform high atop the ship where nighttime astronomers can look up into the starry abyss. Penthouse Suite aboard Celebrity Flora. 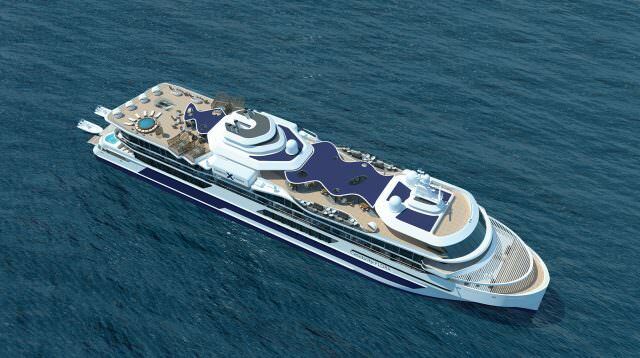 Rendering courtesy of Celebrity Cruises. The announcement is big news for tourism in Ecuador as well. 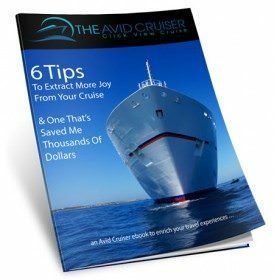 There are incredibly stringent rules that must be adhered to in order for cruise lines to operate in the Galapagos, from having the vessel flagged in Ecuador to having an Ecuadorian (or Galapagos-based) crew; to provisioning the vessel with Ecuadorian food, beverages and even toiletries. For these reasons and many others, newbuild ships are hard to come by in the region. The fact that Celebrity has made what is an obviously lucrative, long-term investment in the region telegraphs that the line is committed to both Ecuador, and the Galapagos Islands. With an expanded presence in the Galapagos, Celebrity is quietly but concretely establishing itself as a major player in the small-ship expedition market; something that most of the line’s past guests likely don’t realize as they sail aboard the ship’s elegantly-designed megaships that carry a few thousand guests apiece. Could Celebrity push further into the expedition arena? Only time will tell. Celebrity Flora sets out on her first voyages in May of 2019. 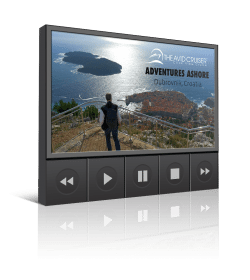 Itineraries are already open for booking, and are no doubt going to sell quickly, even this far in advance.